The end of November and this year is going by too fast. It’s hard to believe there is only 1 month left and then the start of 2017 will be beckoning. Eeek! November then, is not quite the end and not quite the beginning. It’s a holding time for taking stock of the year so far but also beginning to think about preparations for the month, and year, to come. This is especially the case as the shift from November to December marks the time when the seasons change and Autumn slips into Winter. The days are getting that bit nippier and the focus is on keeping warm! Whilst outside is becoming a bit more inhospitable, we should look at our decor and accessories to make the inside of our homes welcoming and give ourselves a much needed boost during this time of year. As we start to wake up to frosty mornings, I think we all need something to warm our cockles and take delight from at home. 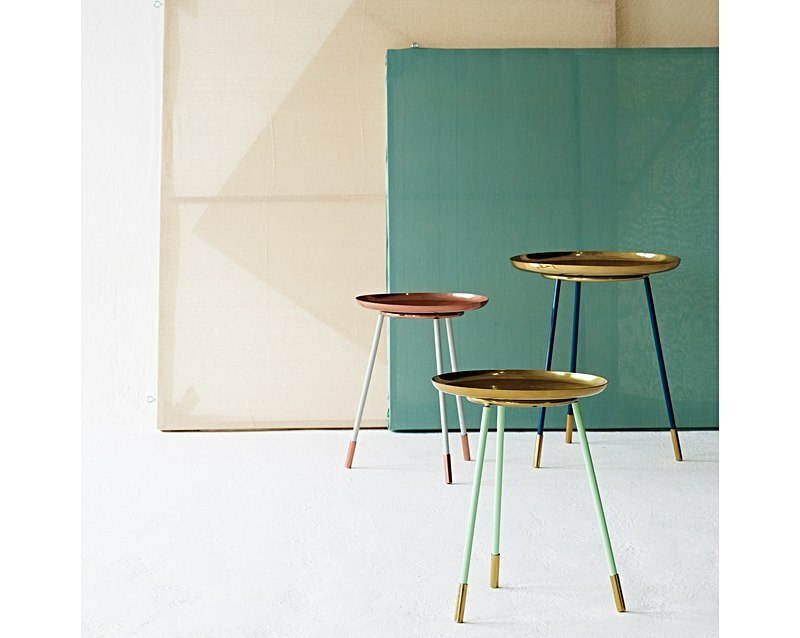 These side tables will brighten up any home! I love the fact that the legs come in three versatile shades and the metallic top will sparkle and shine, bringing a touch of opulence to a relaxed living space. These homewares have such a great sense of fun about them. The dinner and side plate look so cool and are a great talking point. And the teacup and milk jug harken back to 1920s prohibition and will make having tea a little bit more decadent. You can imagine stumbling upon this beauty in a vintage store. It looks like a snapshot of history from another era. Practical too with 12 drawers and being on wheels means you can move it into the perfect place. No space for a Christmas tree? Or perhaps you prefer something with a sense of fun? This wallpaper panel can fit in even the tiniest spots and with some baubles or a string of lights will be a festive work of art. What are you loving this month? I'd love to hear the items on your wish list!